To choose the right toothbrush for your children, you must consider a variety of factors, including age, ability, and dental health needs. The following simple guidelines will help you choose the right toothbrush for your child. Whatever your child's age, the toothbrush you pick should be easy for your child to hold and manipulate, and fit comfortably into the mouth. It’s best to choose a toothbrush with soft bristles, with rounded or ‘polished’ ends, as these will be gentler on the gums and tooth enamel. As long as you keep the above factors in mind, it can be a good idea to allow your child to choose a toothbrush that suits his or her tastes in terms of colour, pattern, and so on. This will make brushing more fun for your child, and encourge him or her to do it more often. Many parents use a soft, damp cloth to clean their infants' gums before the teeth erupt. However, it's also perfectly fine to use an ultra soft toothbrush on your baby’s gums before the teeth emerge. The toothbrush you choose for your baby can be a bright, fun colour, and it should have an extra small head that fits easily inside your baby’s mouth. Toddler toothbrushes also come in bright colours that are attractive to small children. This will help encourage your toddler to take an interest in the brushing and flossing routine. Toddler toothbrushes also have small heads, and larger handles that make it easy for small hands to grip. Most kids this age can just about brush their teeth on their own, with some supervision. Toothbrushes for this age range can look a bit more like adult toothbrushes, but still have smaller heads. The grip will be smaller than that of toddler brushes, though, to keep up with you child's ever improving manual dexterity. Toothbrushes for children this age are typically the most fun. They're often cartoon character-themed, so your child can pick a brush featuring a favourite animated character, whether it’s Olaf from Frozen or Spongebob Squarepants. Children aged 8 and up can brush independently. Toothbrushes for children this age look just about the same as adult brushes, but the heads are still slightly slimmer. Electric toothbrushes are available for children as well. Before you choose an electric toothbrush for your child, however, discuss it with your child's dentist for advice on proper use, the difference in brushing technique, and the best style of head for children. 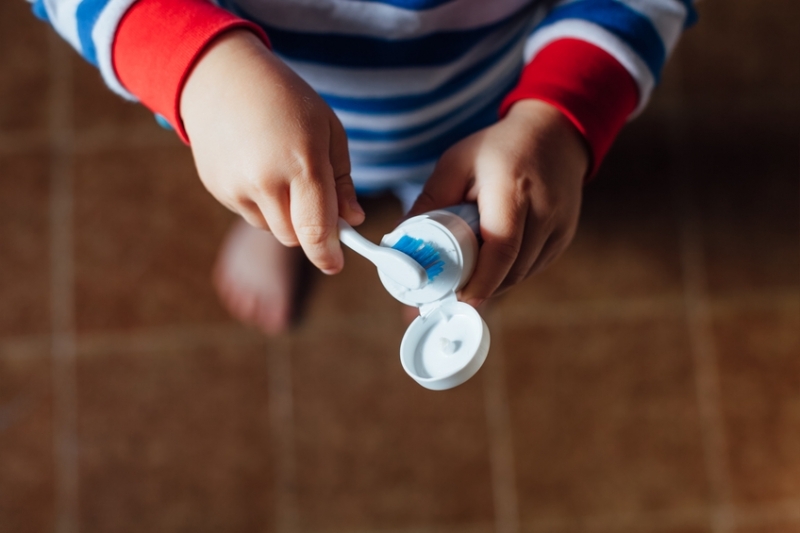 If you have questions about choosing a toothbrush for your child that you don’t see answered here, feel green to contact our practice; we’d be glad to help!